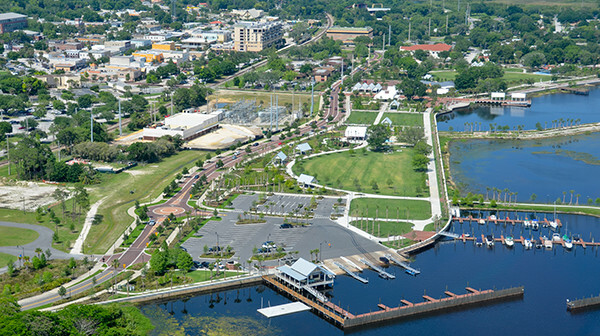 Osceola County has a long history of greeting visitors from across the nation and far points of the globe, beginning in the late 1800s with steamships and rail service. Sunshine, fishing, and warm winters would bring tourists to Kissimmee in the early 20th century. The big attraction then was a new roadside attraction called Gatorland, but all that would change when a mouse named Mickey came calling in 1971. Osceola County is a stone’s throw away from the main theme parks — Disney’s Magic Kingdom, SeaWorld, EPCOT, Disney’s Hollywood Studios, Disney’s Animal Kingdom, Universal Studios Orlando, Universal’s Islands of Adventure, and Legoland. We’re also home to a wide variety of accommodations – everything from independent motels to glamorous resorts to vacation homes. There are accommodations to fit every family size and budget in Kissimmee and Osceola County. But some of what first brought tourists to Osceola County is still a calling card for many visitors. Water adventures – Whether it’s fishing, riding an airboat, or relaxing by the shores of area lakes, there is nothing like being on or near the water. Yesteryear – You get see what it was like when Osceola County was young in downtown Kissimmee, visit a recreation of a pioneer village, and learn about Osceola’s contribution to military efforts. Off the beaten path – From thrill rides to being able to milk a cow, there are a number of smaller attractions located throughout Osceola County. Cowboys – Four times a year the rodeo comes calling with the staging of the Silver Spurs Rodeo, RAM National Circuit Finals Rodeo (RNCFR), and the Wrangler Champions Challenge. The rodeo has a colorful history in Osceola County. You can even find rodeo events two and three times a month at Kissimmee Sports Arena. Play ball – Whether catching a spring training game at Osceola County Stadium, golf, or some other type of sport, you can catch it all in Osceola County. Dining – Sampling some new tastes from right down the street and across the globe sometimes comes with a show. 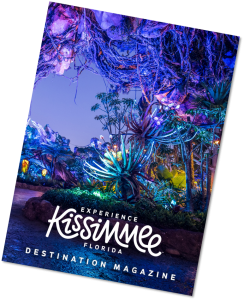 For more of what Kissimmee and Osceola County have to offer, check out all the details at Experience Kissimmee, or view their latest Visitors Guide. Fill out the form below to receive a visitors information packet by mail.